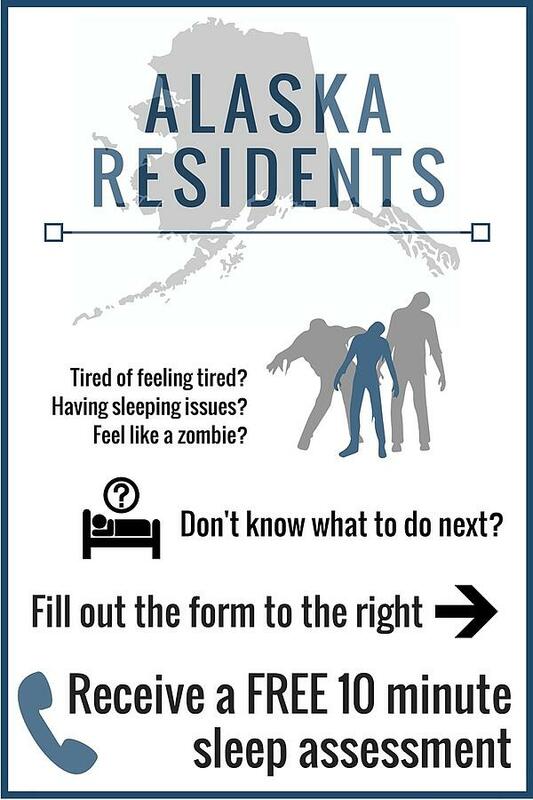 ALASKAN RESIDENTS: Take the first step to a good night's sleep today. Receive a 10-minute phone consultation with a sleep educator to help determine if a sleep study is right for you. Are you fed up with being tired all the time? Have you spent countless nights awake, willing sleep to come? Do you wake up in the middle of the night unable to return to sleep? Does the sleep you do get feel unrestorative? If you answered "yes" to any of these questions, it may be time to seek solutions for your sleeping troubles. By filling out the form, we will have one of our sleep experts contact you for a free 10-minute phone consultation to discuss your symptoms and treatment options. Insomnia can be a debilitating disorder, let us help you get the sleep you need.